Freight, Express and Ground all contributed towards the $1.8bn year-over-year growth in FedEx’s Q1 revenues. The group produced turnover of $17.1bn and its operating income was up 10.2% to $1.07bn. Its net income of $835m surpassed its 2018 Q1 result of $596m. 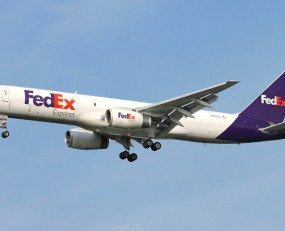 FedEx Express segment revenues increased 10% in Q1 of FY19 primarily due to international package and freight volume recovery from the NotPetya cyberattack, higher freight pounds, U.S. domestic package volume and yield growth and higher fuel surcharges. Operating income increased 4% year-over-year. FedEx Ground segment revenues increased 13% in the first quarter of FY19 due to volume growth and increased yields. Average daily volume at FedEx Ground increased 7% in the first quarter of 2019 primarily due to continued growth in commercial and residential services driven by e-commerce growth. FedEx Ground yield increased 6% during the first quarter of 2019 primarily driven by higher fuel surcharges and base yields. Operating income increased 10% year-over-year. FedEx Freight segment revenues increased 18% in the first quarter of 2019 primarily due to higher revenue per shipment and average daily shipments. Due to higher revenue per shipment, operating income increased 7% year-over-year.